All this week as part of our celebrations of International Women’s Day and the Be Bold For Change theme, our authors are writing about the bold women that have influenced their work. 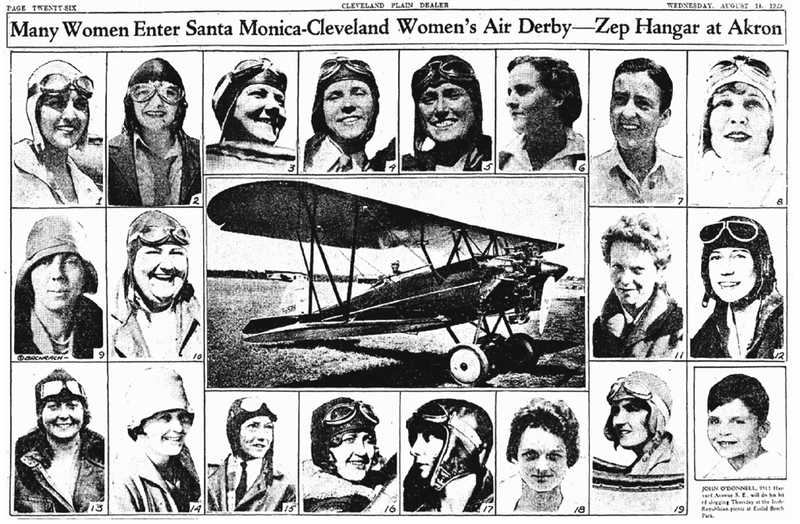 Today Carol Baxter writes about the incredible women who were boldly breaking boundaries when aviation was just taking off. As we board the world’s commercial airliners and wait for the captain’s welcome, how often do we hear a female voice announce: ‘This is the captain speaking’? It’s never happened to me. Has it happened to you? Probably not. Because the world of commercial aviation is one of the most sexist, with only three percent of all commercial airline pilots being women. Yet women have been piloting planes since 1908, almost as long as men. In fact, female pilots – wittingly or otherwise – were at the vanguard of historical feminism. At a time when the world demanded that women wear dresses and be chaperoned, female pilots were donning coveralls, climbing into cockpits, goosing throttles, and taking off by themselves into parts unknown. At a time when a woman’s education still focused on domestic skills – cooking, sewing, cleaning, shopping – these female pilots were mastering the ‘male’ skills of navigation, aerodynamics and mechanics. They couldn’t flutter their eyelashes at a big strong man and ask for his help if their planes came down in the middle of nowhere – a regular occurrence in the early days of aviation when aircraft were flimsy and engines fickle. They had to solve the problems themselves. They also had to accept the risks of flight, that whatever went up had to come down, one way or another, and that planes had no more concern for a woman’s safety than that of a man’s. The name that immediately comes to mind when we think about early female aviators is Amelia Earhart. Amelia came to the world’s attention in 1928 when she became the first woman to fly across the Atlantic – as a passenger in a plane piloted by a man. Ashamed that she was so famous when she had merely been a ‘sack of potatoes’ during the flight, she set herself the goal of piloting a plane across the Atlantic. She took out the record in 1932. Meanwhile, between 1928 and her death in 1937, she used her powerful political and social voice to argue for women’s rights. One of her friends and fellow feminists was Australian-born aviator, Jessie ‘Chubbie’ Miller. the Red Rose on 14 October 1927, as they prepared for their 12,000-mile journey. Slender petite Chubbie came to the world’s attention 90 years ago, in 1927, when she became the first female passenger on a flight from England to Australia. 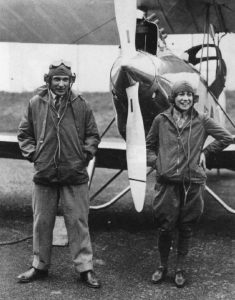 On the everything-that-could-go-wrong-did-go-wrong journey – which included a deadly snake in their tiny dual-cockpit biplane – she and her male flying partner, William ‘Bill’ Lancaster, became lovers. They travelled to America in 1928 where Chubbie acquired her pilot’s licence and joined the world of celebrity aviators. 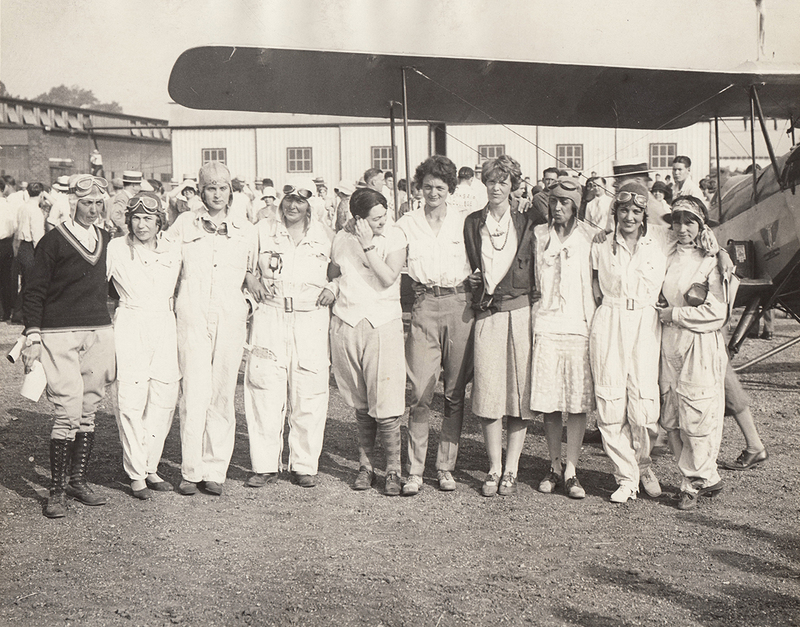 Both Chubbie and Amelia gained prizes – and shared a room – in the first ever women’s air race, the deadly Powder Puff Derby of 1929. Chubbie beat most of the male pilots in the 1929 National Air Tour, one of the first aviation events to pit men against women. Soon afterwards she became the world’s first female test pilot. Late in 1930, the world mourned her loss when she disappeared during a storm-tossed flight from Cuba to Florida. When she surfaced again a few days later after an astonishing series of adventures, the investigators concluded that only her courage and extraordinary piloting skills had saved her life. Chubbie, Amelia and many of the other elite female aviators of their time were often interviewed by the press or invited to be guest speakers at functions across the country and a topic they regularly discussed was the treatment of female pilots. Women aviators had proven to the world that they were as skilled as male pilots yet the world of commercial aviation refused to employ them. In fact, airline managers claimed that passengers were too scared to fly with them. But, as Chubbie used to point out, female pilots were actually safer than male pilots – both for the planes and for the passengers. They didn’t have the reckless streak that drove many male pilots. It was to no avail. Fact failed to triumph over misogyny. Indeed, when tragedy struck the Powder Puff Derby, many members of the public turned against them claiming ‘Women pilots are too emotional, vain and frivolous to fly and are hazards to themselves and others.’ Chubbie and the other female aviators had deeply ingrained prejudices to overcome. As the Great Depression gripped America and as pilots struggled to put food on their tables, Chubbie gained a new and unwelcome notoriety. She became the world’s most notorious scarlet woman and a central player in a sensational Miami murder trial. Her feminist voice was immediately silenced because she had broken the social rules that continued to constrain a woman’s behaviour. If Chubbie had still been alive today, she would have been shocked and appalled to realise that, ninety years after her own feminist endeavours, female pilots were still battling to gain equality in the world of commercial aviation. Carol Baxter is the author of many highly acclaimed books about fascinating people including An Irresistible Temptation, Captain Thunderbolt and His Lady, Black Widow and The Peculiar Case of the Electric Constable. She lives in Sydney and is a fellow of the Society of Genealogists. 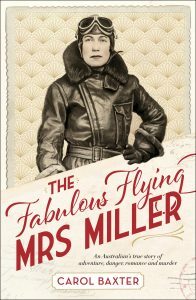 The Fabulous Flying Mrs Miller: an Australian’s true story of adventure, danger, romance and murder will be published on 29 March 2017.